Takumi Fujiwara is a quiet, humble, 19-year old young man, born and raised in the shadow of Mount Akina in Japan’s Gunma province. From an early age, Takumi has worked in his father, Bunta Fujiwara’s tofu shop. 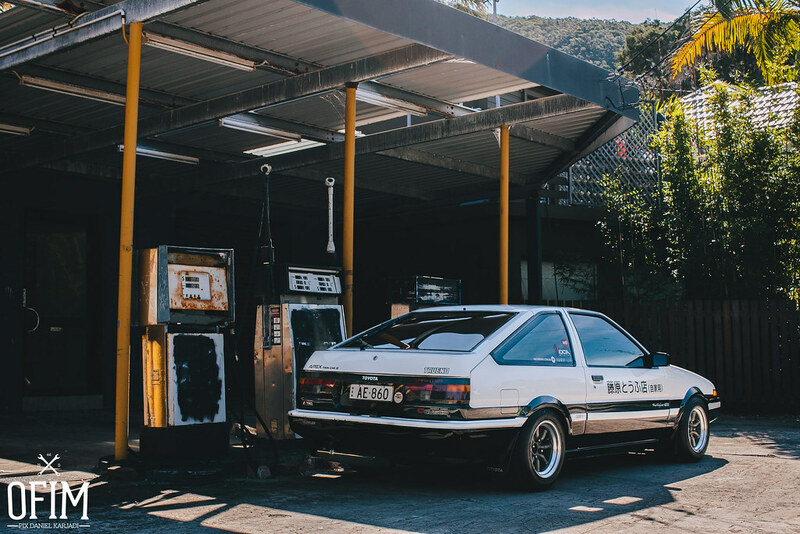 Since the age of 12, Takumi has been responsible for delivering tofu to local hotels in Bunta’s 1983 Toyota AE86 Trueno, a role that forced him to drive the treacherous Mount Akina ‘touge’ daily, regardless of weather conditions. By assigning his son this task, Bunta was able to unwittingly train Takumi in the art of ‘touge’ driving, nurturing in Takumi skills that would eventually create an instinctively unbeatable driver, only second to Bunta himself on the roads of Mount Akina. 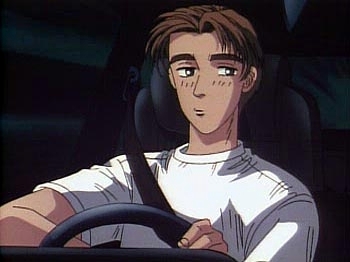 The most famous of Bunta’s training techniques involves a cup of water placed in the car’s cup holder that must not be spilt for fear of damaging the precious tofu cargo, forcing Takumi to drive smoothly. Manipulating weight transfer to fully utilise a vehicles available grip by driving smoothly is undoubtedly a valuable skill, but the plausibility of such a training technique has been hotly debated on numerous automotive forums, and the fact that the driver filmed above was compelled to try it out on a racetrack highlights the influence Takumi Fujiwara has had on the automotive scene as a celebrity. 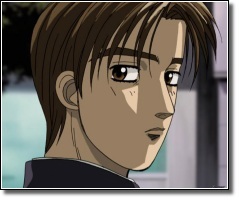 At this point I would like to point out that Takumi Fujiwara is not a ‘real’ person, but the lead character of Initial D, and by far the greatest celebrity the anime series has produced. 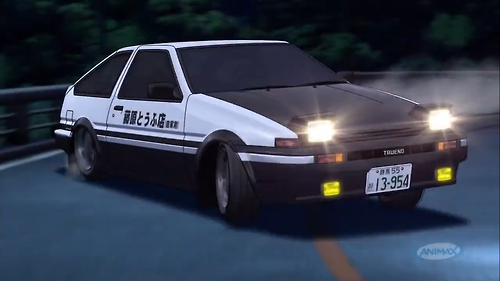 It is interesting to note the way in which the series has spawned two separate, yet inherently inseparable facets of the same celebrity phenomenon; Takumi Fujiwara himself, and his unmistakable AE86 Trueno. The Toyota AE86 chassis has been a cult classic, both in motorsport and the modified car scene at large, since it’s release in the early 80s. Relying on its lightweight, finely tuned chassis and naturally aspirated 1.6L power plant for pace during more spirited driving, critics viewed it as a bit of an underdog in comparison to turbocharged Japanese sports cars of the 80s and 90s. This underdog spirit is overtly accentuated in the creation of Initial D’s legendary ‘white ghost of Akina’, and I believe the reason it has become so beloved by fans of the series. In what I liken to the art of cosplay, many have been inspired to pay homage to this venerable vehicle through emulation, exampled by the somewhat faithful Australian recreation pictured below. The influence of celebrity does not stop at mere emulation, however, with a link between the release of Initial D in its dubbed form and the international rise in value of Japanese sports cars and associated parts in the early 2000s widely accepted as fact. Those within the international Japanese car scene have dubbed this the ‘Takumi tax’, often used derogatorily to describe exorbitant prices aimed at newcomers for parts of a known, lower value. Similar in nature to mainstream celebrity opinion leaders and their influence in fashion and other consumer trends, Initial D iconicized a number of Japanese sports cars, but particularly the AE86, in a way that introduced a wider audience to their potential, inflating demand and partially fuelling the explosion of drifting as an international motorsport. Takumi himself as a celebrity has also added fuel to this fire, providing a role model with admittedly impressive skills, but skills that have been learned through the proven process of practice. Adding to the well-established anime canon of hard-working yet humble heroes hesitant to boast of their own talents, or in this case initially unaware of them, Takumi is an accessible and morally aspirational character that encourages beginners and veterans alike to partake in perpetual self-improvement through constant practice. An interesting technique used to articulate this throughout the series is Takumi’s awakening to his own talents, a process you can see beginning as he observes Iketani, the head of the Akina Speed Stars, flailing in the AE86’s passenger seat in the clip above, taken from the sixth episode. Takumi begins as a purely instinctive driver but as the series progresses, and particularly under the tutelage of Ryosuke Takahashi in Project D, he is introduced to driving techniques in a progressive gradient; moving from basic explanations of car control to incredibly advanced techniques discussed both by Takumi as his understanding improves, and others in observing his driving style. In this way, Takumi personifies the learning process all drivers must undertake and is used to both highlight key areas for inexperienced drifters to work on, and engage those with experience through accurately articulated knowledge. In researching Takumi Fujiwara for this investigation of his role as a celebrity, I found it interesting that digital artefacts dedicated to the character largely deal with Takumi as a real person, rather than a constructed identity who’s story is still being written. Imaginary social relationships with celebrities as part of a constructed reality have been well documented (Alperstein 1991), but I believe this can be much more simply explained by a relationship nurtured in audience members through physically and mechanically accurate portrayals of drift culture, with the mirrored reality easy to describe in similar ways to ‘real’ experiences. Reading back, I notice that after perspicuously pointing out the fact that Takumi is not a ‘real’ person, I return to describing Takumi and his car as almost a part of reality, something I can only explain as a result of my resonation with the series and the way it has informed my exploration of drift culture. 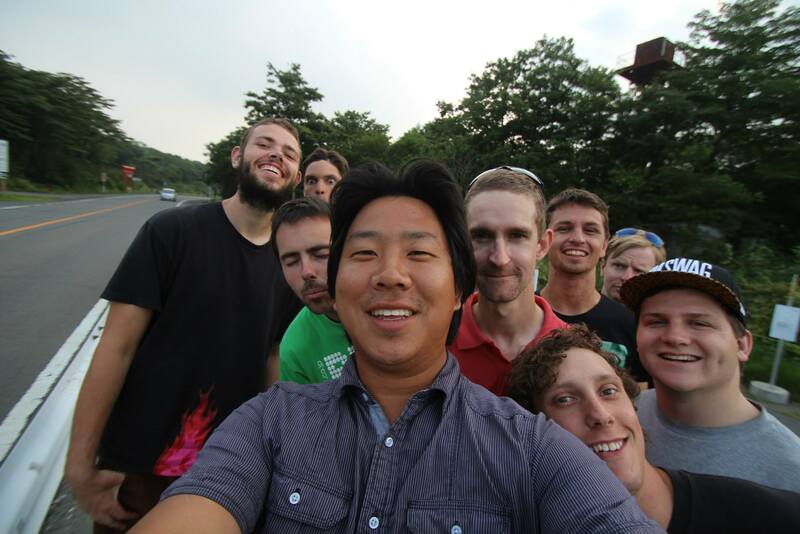 Travelling to Japan last year, my companions and I felt compelled to complete a pilgrimage to the famous water tower you see above, a location recreated as the starting point of each downhill battle on Mt Akina, known in reality as Mt Haruna. In our travels, we also stumbled across an unbelievably organised street drift meeting on a hidden touge, surprised to find galleries of spectators and organised teams just as I had seen in Initial D. The deeper I have delved in to drift culture, the more I appreciate the emphasis placed on accuracy in Initial D.
Trying to comprehend the notion of celebrity and the consumption of Initial D by an individual external to drift culture, I realise how heavily my own experiences have informed my encounters with the series, and my subsequent analysis. Fans of the series with no interest in drifting, if such individuals exist, may enjoy Initial D from a purely performative perspective, experiencing for entertainment purposes something as purely imaginary as any other anime topic. In considering this, I now realise that my analysis of celebrity is entirely reflective of what I have taken from the show, and that others may idolise other characters, vehicles or aspects of the series that I am yet to consider. 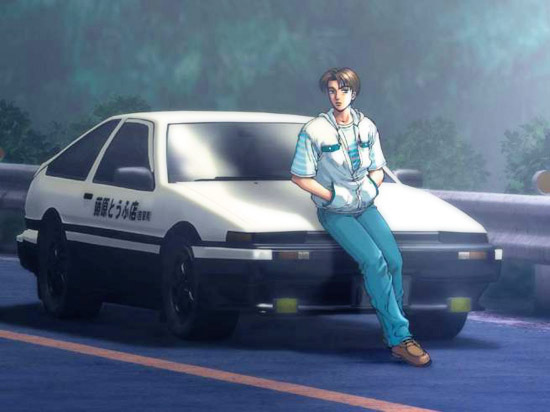 That being said, I do believe that I represent an important segment of Initial D’s contemporary audience and as such, my investigation provides at least some insight to the idea of celebrity in relation to Initial D.
ahh I have heard so many people talk about Initial D, I need to watch it! The way you describe it and the whole drift culture makes me think of fast and the furious Tokyo drift, and I’m not sure if the two cultures would have anything in common at all apart from the whole ‘drifting’ aspect but its worth a look? Your analysis of you own words is great! How you recognised that their influence on reality makes them seem more realistic to people, even yourself, and the fact that you have visited some of the infamous sites in the show, wow! The attention to detail is insane! Thanks for the kind words! Many people’s only encounter with drifting, and modified cars as a whole, is through the highly unrealistic Fast & The Furious franchise. 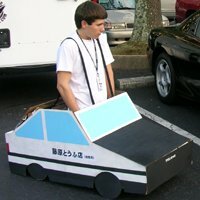 Initial D’s creators put a lot of effort in to faithfully representing the organised street drifting scene in Japan and while it is a bit far-fetched for the sake of entertainment, it is a much more accurate representation than any other fictional media I’ve encountered. For that reason, I would definitely recommend checking it out, and you can actually find the first episode in one of my earlier blog posts, linked below.